Google has recently introduced a ‘stats box’ in the search results from your Google Search Console data. It shows Clicks, Impression and Average Position of your website for the keyword/phrase you just searched, with some tips below the box. It looks like that it has now been rolled out to most countries. Just to share it in this post, I tried a keyword phrase earlier for my own sites and the following image describes what I am talking about. 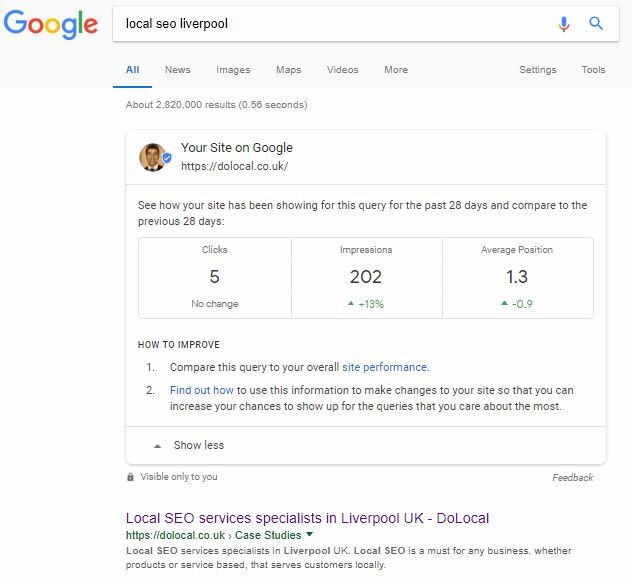 If you want to see it just login to your verified Google account and search for a keyword or phrase which might bring up your web site in the results somewhere. It is now available on both, the desktop and the mobile.